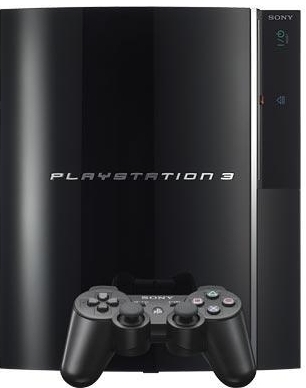 [tweetmeme source= “blurayreporter” only_single=false]Sony has confirmed that the PlayStation 3 firmware update that will enable playback of Blu-ray 3D Discs will be available to download for free on Tuesday 21st September. The announcement was made at the Tokyo Game Show, one of the biggest events in the videogame calendar. With sales of 3D TVs expected to increase during the Christmas period, the announcement makes great reading for PS3 owners eager to experience high definition films in 3D. To get the upgrade next week, PS3 owners just need to select ‘System Update’ from the main menu. For more details, visit the official PlayStation blog. If you have a few minutes free today why not try your luck at the brand new Bluscape game, presented by the Blu-ray Disc Association. Bluscape comprises several different games, so there should be something for everyone, whether you’d like to use your Blu-ray laser to cut down enemy spacecraft in Titan Wars or collect the HDMI power ups in Peakskill. The game has been developed to help raise awareness of the Blu-ray Disc brand online, as well as highlighting key benefits of the format in a fun, interactive way. Welcome to the official European blog of the Blu-ray Disc Association! Welcome to the European blog of the Blu-ray Disc Association, the group of companies dedicated to developing and promoting the Blu-ray Disc format. Here you’ll get the inside-track on everything BD related – from the latest player or disc launches to exclusive interviews with industry thought leaders. This site is aimed at industry insiders, analysts and members of the press, looking for background information and an overview of the latest developments surrounding Blu-ray Disc. Consumers are, of course, welcome to stick around but you may find more useful information, tailored to your particular country, at the Blu-ray Disc Global Sites. Below this post you’ll find some news stories from the past couple of weeks, but expect to see regular posts every couple of days on the latest breaking news. You can sort the news on the site by story type or topic area (see the right hand toolbar) and within the next few weeks, you’ll also be able to select specific news from your region by clicking on the countries to the right. Enjoy reading and do let us know what you think via the comments sections. The European Blu-ray Disc Association communications team. We’ve just found an excellent video on how to get the best high definition experience out of your Playstation 3. Great work from the guys over at IGN.